Finding the right vacuum cleaner can seem overwhelming. With so many brands and styles available, many homeowners aren’t quite sure exactly what they need when it comes to vacuum cleaners. Delaware Valley locals rely on the knowledgeable staff at Stony Brook Sew & Vac to steer them in the right direction. Our friendly salespeople work hard to learn just what you need and to find the perfect product for your home. We do the research so you can be confident that you’ve made the right choice. At Stony Brook Sew & Vac, we have something for everyone. 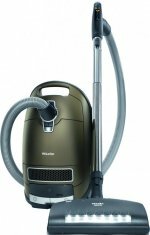 We specialize in Miele, Dyson, Electrolux, Hoover, Eureka, Simplicity, and Central vacuum brands. 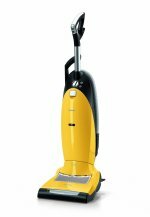 We also offer quality vacuum cleaner repair on a variety of makes and models. When you come to us for repairs, you can take comfort in knowing your machine will be fixed right the first time. Our talented technicians make all repairs in-house, saving you time and money. Whether your vacuum is clogged or needs a new part, we’ll get to the bottom of the issue. We can also take care of any maintenance needs, no matter how simple or complex, whether you're in Burlington County, Mercer County, or the Delaware Valley. Browse our vast inventory on our site and feel free to call our local vacuum cleaner stores for more information. We are located in Bordentown, NJ for your convenience. Whether you need bags and filters or are in the market for vacuum cleaners, New Jersey-based Stony Brook Sew & Vac makes it easy for you to get what you need. Stop by today to discuss your cleaning needs with a sales associate.